Hello everyone, welcome to english-learning.net . I hope you are well today. 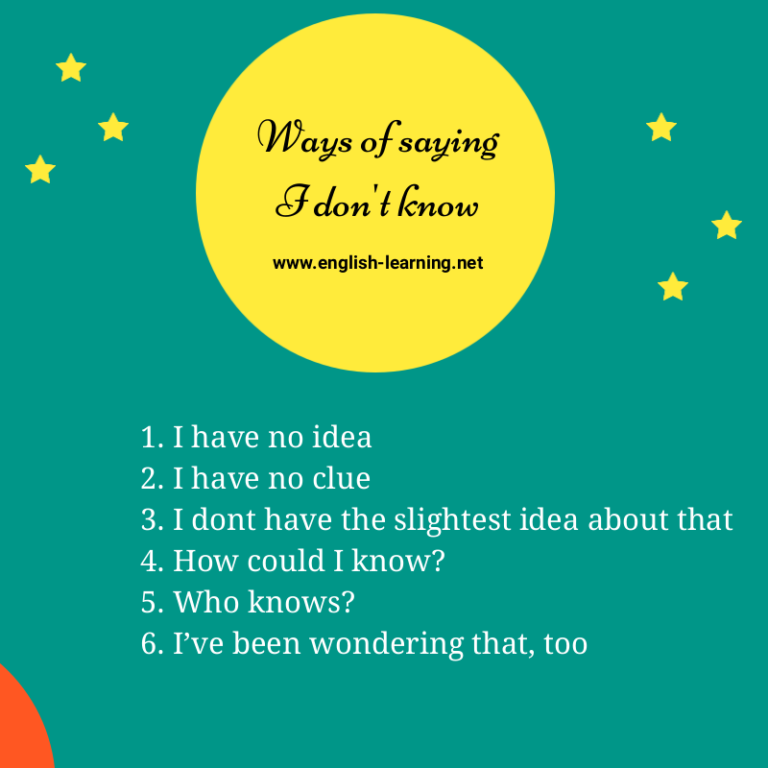 In this lesson, we’re going to discover some awesome ways to answer people when you don’t know, or don’t have the answer. Do you think he will pass the exam? Do you know why they replaced the machine? This is the longer version of “I have no idea”. It conveys the same message: “I do not know”. For example. Where are they going to travel next week? I don’t have the slightest idea about that. 4. How could I know? I’m sorry, but why is the floor so dirty? How could I know? I just got here 2 minutes ago. Why did the new programmer resign? Could anyone tell me how to unlock this door?